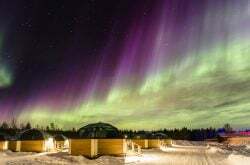 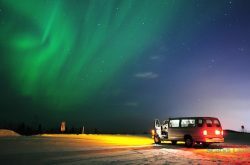 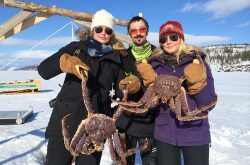 One of our finest of Arctic Circle tours – visit Santa Claus’ Lapland home, meet and ride reindeer, and cross the Arctic Circle in ceremonial style. 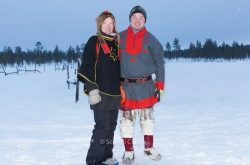 This finest of Arctic Circle tours from Rovianemi takes you via the adventure of snowmobile transport through snowy forests and over icy rivers to the Arctic Circle. 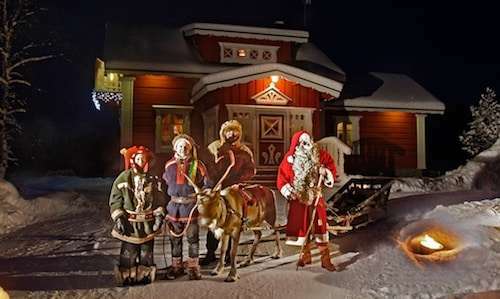 Visit a reindeer park to meet these friendly beasts and learn about traditional Lappish reindeer husbandry. 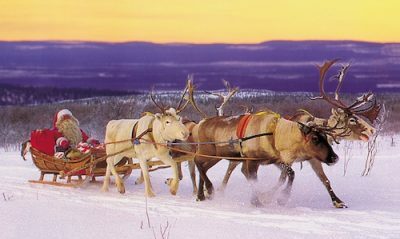 Ceremonially cross the Arctic Circle and enjoy a short reindeer ride. 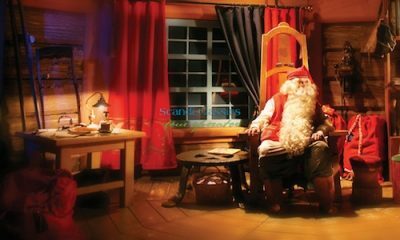 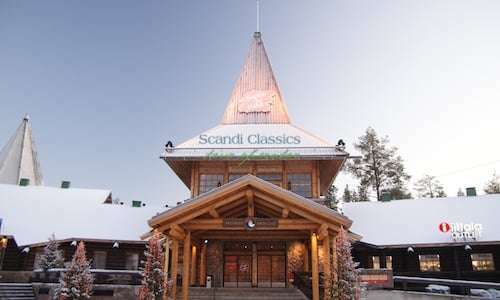 Stop by Santa Claus’ Lapland Village to meet the jolly man in his official office; do a spot of shopping, enjoy a delicious lunch before returning to your point of origin by snowmobile. 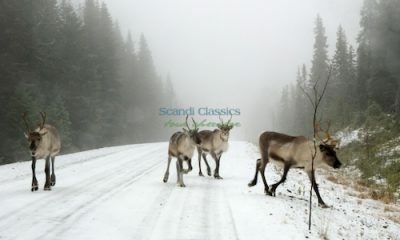 Be the first to review “Santa Claus Safari. 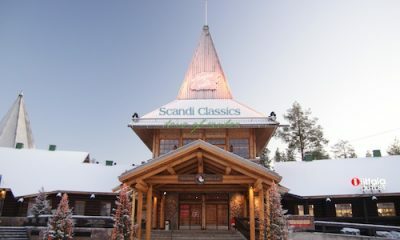 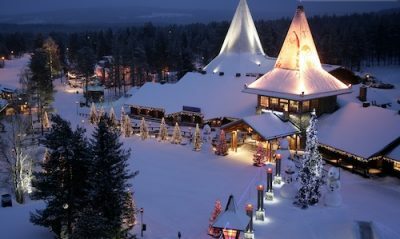 Rovaniemi, Lapland” Click here to cancel reply. 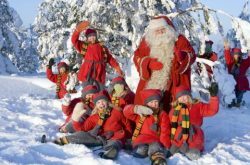 The discount is applied for children seating in a sled that is attached to the guide’s snowmobile. 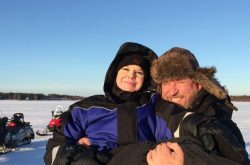 Children over 140 cm can be seated with adult on the snowmobile (an adult price will be applied). Personal liability 980EUR is shared between 2 driving guests.